Sadly it is in the face of stiff competition that the Anointing of the Sick must rank as the sacramentin respect of which the faithful are least catechised. We can understand the reasons for that to some extent. The sacrament is still largely administered away from the public gaze. Added to which is our society’s reluctance to contemplate human mortality. The Second Vatican Council mandated the revision of the rites for the sacrament. Most obviously, the Council preferred the title “Anointing of the Sick” to that of“Extreme Unction.” Based on the Scriptural authority of James 5:14-15, it sought to emphasize that the sacrament is for the sick and not exclusively the dying. “…as soon as one of the faithful begins to be in danger of death from sickness or old age, the fitting time has come for him or her to receive this sacrament has certainly already arrived.” Undoubtedly, in the popular imagination at least, the reception of this sacrament was previously associated with the moment of death - and many may have failed to receive the sacrament in consequence. The Council sought to address this problem. How effective we have been in effecting achange in the popular perception is questionable. Who is the minister of the sacrament? Only a bishop or a priest may validly administer the sacrament. There are stories of deacons and lay “chaplains” purporting or appearing to anoint. 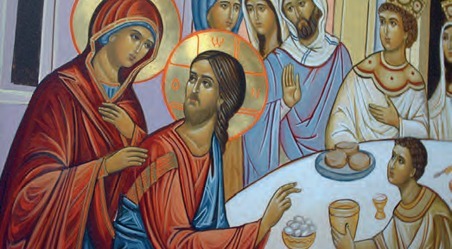 Such occurrences empty the action of its sacramental character as a meeting with Christ. Most priests have been asked to anoint a dead body. Yet the sacraments are for the living, not the dead; a corpse cannot be anointed. Where there is doubt as to death, the sacrament may be administered (and not just conditionally as under the old Code). However, there is a great difference between legitimate doubt as to the precise moment of death and the position of a priest asked to anoint a body in a funeral parlour many hours or days after death. Some mistakenly advise anointing to comfort the relatives, or use unblessed oil and a form of words different to that given in the rite, creating confusion. Of course, one must be sensitive. There is the pain of immediate grief - often compounded by guilt at not having called for the priest earlier. But the answer is notto deceive or to simulate a sacrament. We have a rich treasury of resources; we use the prayers of the Church to pray for the repose of the soul of the deceased, asking God to forgive their sins and to receive them into heaven. Holy water may be used and the forehead signed with the sign of the cross. The Litanies and scriptural quotations “for the dying” in the Pastoral Care of the Sick book can be very helpful. Otherwise, any member of the faithful may be anointed in the appropriate circumstances. Non-Catholics can only be anointed under the same exceptional conditions outlined in canon 844 for the reception of the Eucharist. Someone already unconscious may be anointed if they would have asked for the sacrament if in possession of their faculties. This may be presumed in the absence of contrary evidence. A baptised child may be anointed if they have attained the age of reason. 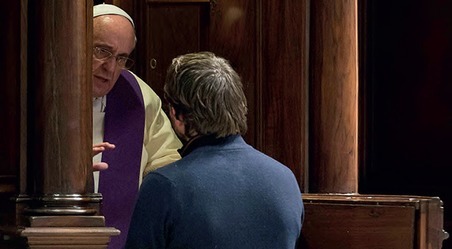 This qualification relates to the fact that, even if emphasized less after Vatican II, the sacrament is still connected to the forgiveness of sin. Before attaining the age of reason, a child in danger of death should be confirmed instead. Again this theological reality will build up, console and teach saving truths. “Those who obstinately persist in a manifestly grave sin” may not be anointed. Confession remains the ordinary means of reconciliation for those conscious of serious sin. We must avoid giving the impression that the sacraments are magic. Contrition and repentance on the part of the recipient are required, at least implicitly, for the forgiveness of sins. We seek to bring about the correct disposition which hopefully allows for absolution and anointing to be given. We seek as ever to foster in our parishioners the real, sacramental relationship with God for which we are made. How serious must the situation be in order to anoint? The greater pastoral problem remains the large number of the faithful not requesting the sacrament due to ignorance or the abiding misapprehension that it is only for those in immediate danger of death. However, most priests also encounter the opposite problem when the sacrament is requested in inappropriate circumstances. The person asking is not to be blamed. Rather, it is usually the result of faulty catechesis or the experience of abuses, eganointing services or Masses where family and carers are indiscriminately invited to receive the sacrament. Vatican II was clear that the sacrament was not intended solely for those at the point of death. Yet neither is it to be administered for trivial or minor reasons. Both the Council and Canon Law speak of danger due to sickness or old age. There must be an objectively serious situation due to illness or old age. Sometimes the sacrament is requested for those at risk from other causes, e.g. a hazardous journey or undertaking, or military activity. These are not occasions for anointing. (The same applies to someone about to undergo surgery for purposes unrelated to serious illness.) While some would argue it is harmless to grant such a request, in fact, it encourages superstition: the sacrament might easily be viewed as some lucky talisman warding off evil. This is far from Church teaching. The effects of the sacrament are not magic. It is Christ’s special strengthening of the person to face serious illness and the frailty of old age, to enable them to unite their suffering to the Passion of Christ, the sanctification of the individual and the Church, and a preparation for the final journey. Again, we explain this wonderful dispensation, and where anointing is not appropriate we offer the ordinary means of grace, e.g. Confession, the Eucharist, prayer and a blessing. The sacrament is for “the faithful whose health is seriously impaired by sickness or old age.” Where this is the case, we are to be generous in administering the sacrament. We are not to be scrupulous, simply prudent and reasonably sure in assessing the gravity of the case. If necessary, medical advice can be sought. The criterion is always whether this individual is endangered by illness or old age. Where serious illness and frailty resulting from old age are not present, anointing is not Christ’s compassionate response. It is the priest’s duty to discern what God is really calling for at this stage of the parishioner’s life.. Sometimes that might be the need for Confession or spiritual direction for those troubled by guilt, anxiety or depression. It is not a question of refusing a person’s request, but rather of identifying the most appropriate help. Anointing is a beautiful sacrament and priests are privileged to witness its effects in those who receive. It is a sacrament that needs to be brought more fully to the attention of the faithful so that more might receive its benefits at the appropriate time.